The Manitoba Floodway and East Side Road Authority (MFESRA) initiated construction of a new all-season road from Little Grand Rapids First Nation and Pauingassi First Nation areas (Project Assessment Areas P3B andP7A). 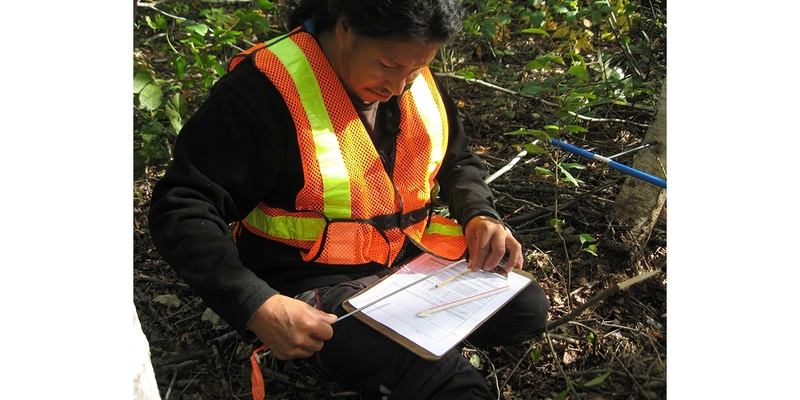 Vegetation studies were conducted by Scatliff + Miller + Murray (SMM) to provide a baseline understanding of the vegetation communities , the potential effects of road construction on local plant communities and recommendations for mitigating negative effects. 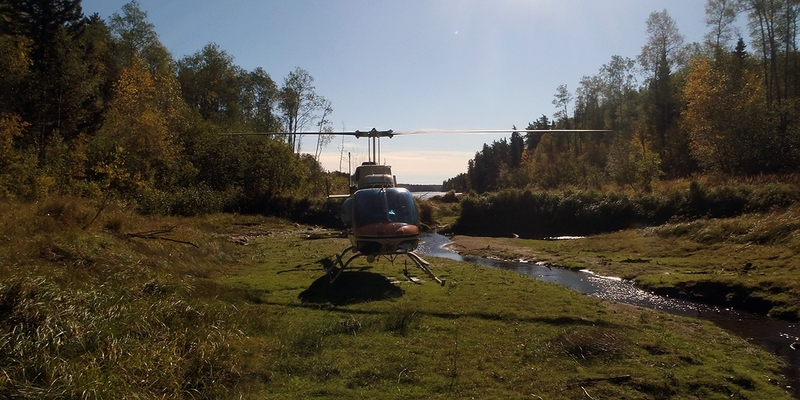 People from the local communities of Little Grand Rapids First Nation and Pauingassi First Nation were identified to assist in the completion of forest field terrestrial surveys. SMM provided people from participating communities with training and experience in field biological sampling protocol surveys. Vegetation surveys identified eleven forest cover types, representing 89% of those encountered by the proposed road alignment. 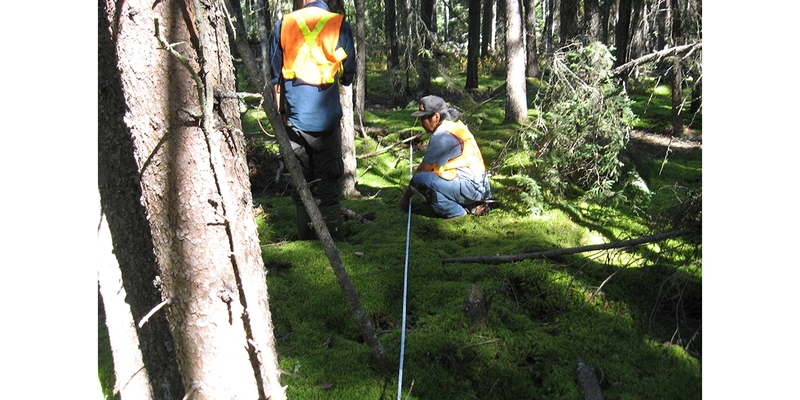 The level of sampling effort and the distribution of survey locations helped to ensure adequate proportional representation of forest types. 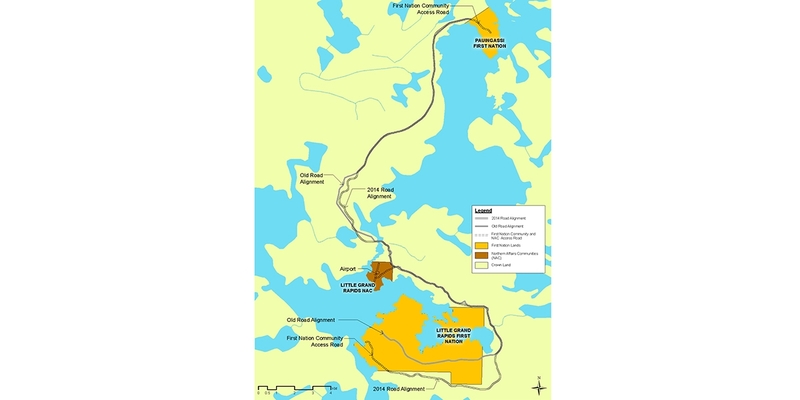 Plant communities on the proposed alignment ranged from Black Spruce and Tamarak lowlands to Jack Pine forests high on granite out crops. No species protected under the Federal Species A t Risk Act (SARA) or Manitoba Endangered Species Act were observed in the study area; however a number of Species of Conservation Concern were detected.